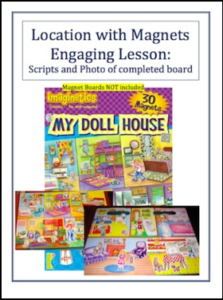 This free lesson plan details how to use magnetic play sets to engage your students in an activity relating to Prepositions of Location. Tells you how you can buy magnetic boards, if you don’t already have them. Also includes a photo of how the boards should look at the end of the activity.